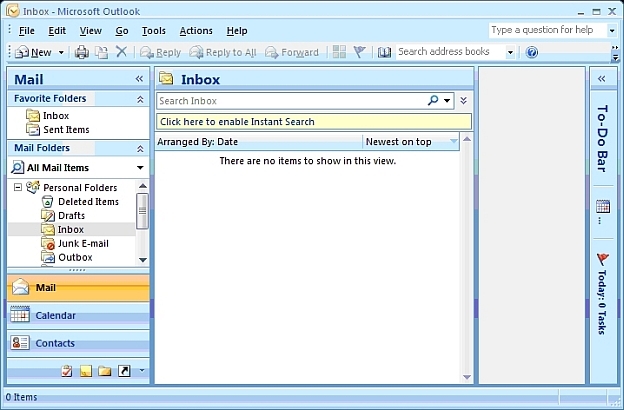 Click on the "New…" button to add an e-mail account. 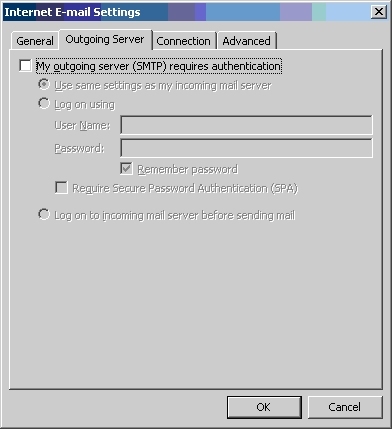 Go down to the bottom of the window and click on the tick box that says "Manually configure server settings or additional server types". 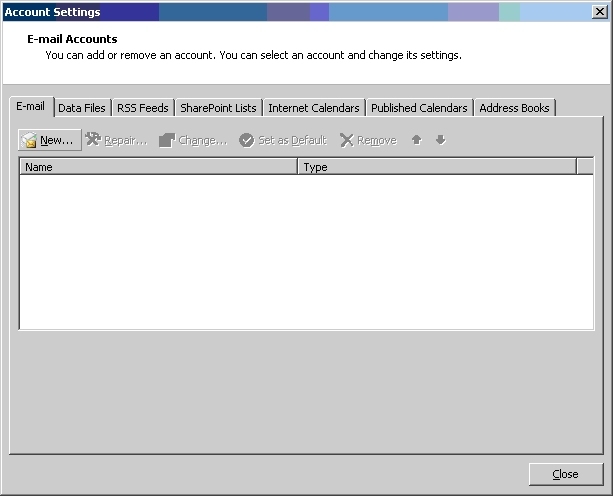 Once clicked the fields should become disabled and then just click on the Next button. 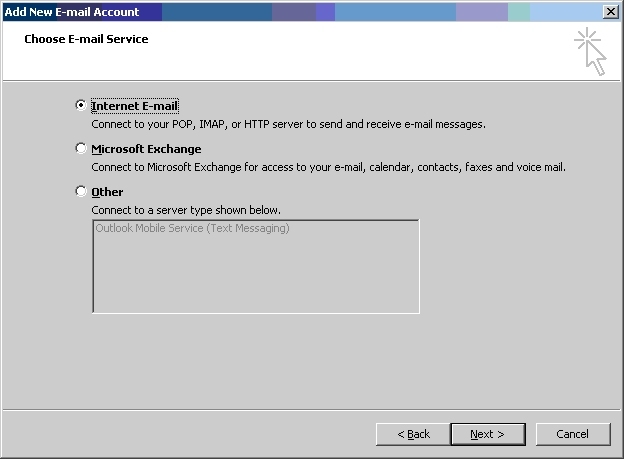 Click the "Next" button but make sure that "Internet E-mail" is selected. 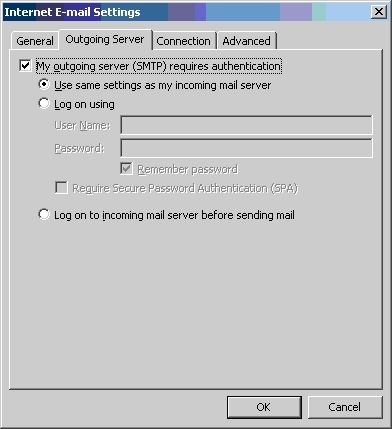 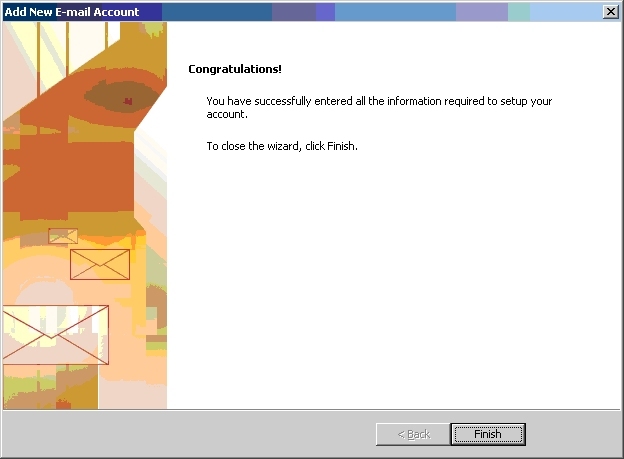 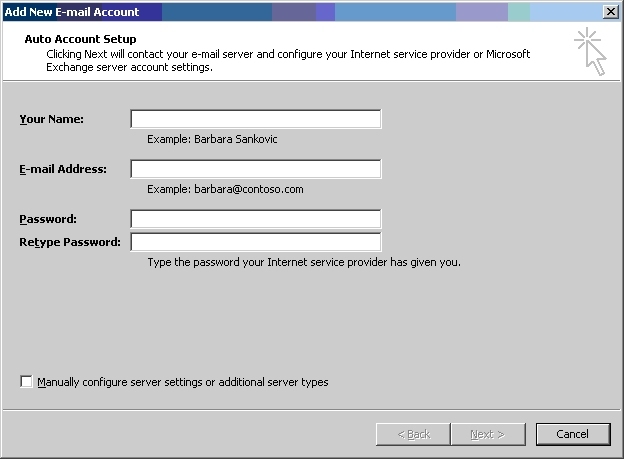 In the Incoming server: Enter the incoming mail server specified in our email. 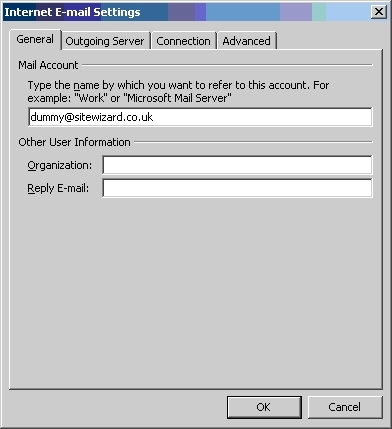 The Outgoing server: is the same as your incoming mail server. 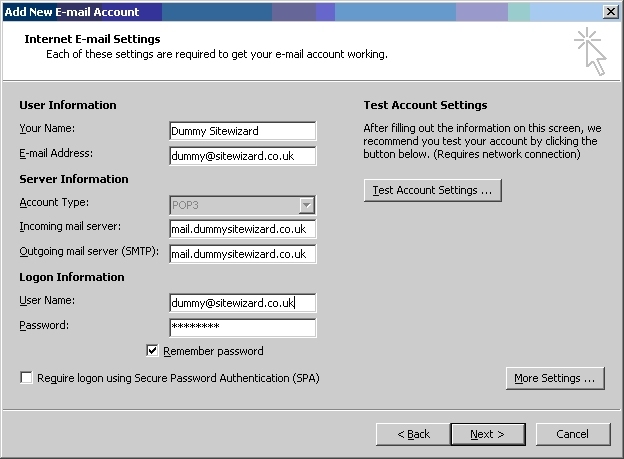 “Username” and “Password” are both specified in our email. 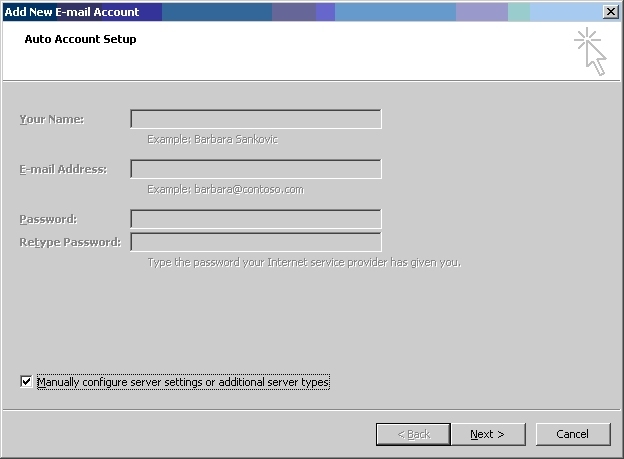 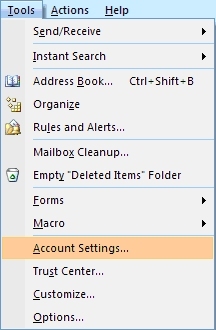 Click on the "More Settings …" button in the "E-mail Accounts" window and then select the "Outgoing Server" tab. 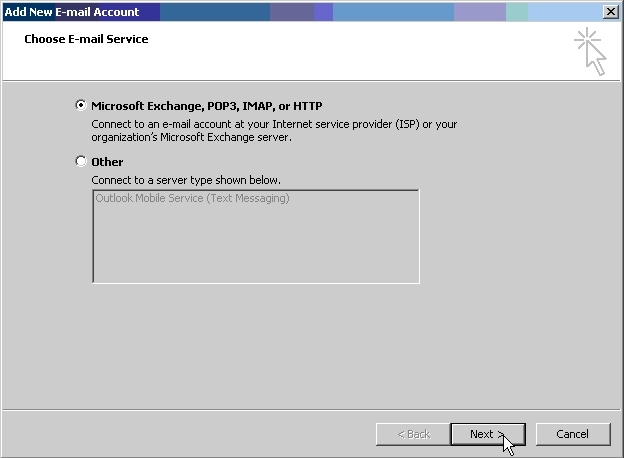 To test your account your E-mail Account just press the "Send/Receive" button.